As we saw in yesterday’s installment, by 1977 the Red Army Faction had shown that it had survived the arrests of its founding members five years earlier. Successfully countering isolation, psychological conditioning and sensory deprivation torture, the prisoners had in fact inspired their own successors, and through the strategic use of hunger strikes had come to symbolize resistance to the West German state and U.S. imperialism. The prisoners struggles were to remain central to the RAF throughout the decade, but at no point more so than in 1977. 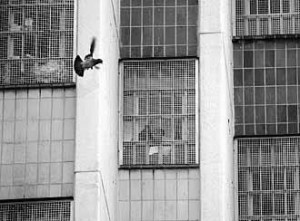 On March 29 of that year, prisoners from the RAF and the anarchist 2nd of June Movement embarked upon their fourth hunger strike, demanding prisoner of war status, association in groups of no less than fifteen, an end to isolation and an international investigation into the deaths of RAF prisoners in custody. 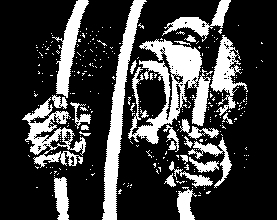 Initially, thirty-five prisoners participated, but soon the number of prisoners refusing food surpassed one hundred and some prisoners escalated to refusing liquids. The guerilla outside the prison walls was not going to let the prisoners wage this battle on their own: on April 7, as he was waiting at a traffic light, Chief Federal Prosecutor Siegfried Buback was killed along with his driver and a justice ministry official when two individuals on a motorcycle pulled up alongside his Mercedes and opened fire with a submachine gun, riddling it with bullets. 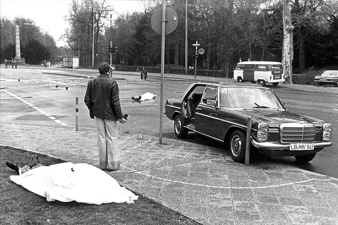 This attack occurred in the context of continuing attacks against the RAF’s lawyers, and exactly two weeks before the end of the famous Stammheim show trial in which Andreas Baader, Gudrun Ensslin and Jan-Carl Raspe would be found guilty of various offenses relating to the RAF’s May 1972 bombing offensive. As head of the Federal Prosecutor’s Office, Buback bore direct responsibility for the prison conditions which had already claimed the lives of Ulrike Meinhof, Siegfried Hausner and Holger Meins. It was in the name of the “Ulrike Meinhof Commando” that the RAF issued a communiqué claiming responsibility. The hunger strike continued, the prisoners consolidating their support. Soon relatives of the prisoners began a solidarity hunger strike, and on April 17, Peter’s Church in Frankfurt was occupied and turned into a hunger strike information center. As the number of prisoners refusing food reached one hundred and twenty, more outside supporters began a second solidarity hunger strike in a Bielefeld Church. On April 27, relatives of political prisoners held a demonstration at the United Nations headquarters in Geneva demanding the application of the Geneva Convention. The next day, Amnesty International added its voice to that of eighty clergymen, one hundred and twenty-eight U.S. lawyers, one hundred French and Belgian lawyers and twenty-three English lawyers, all supporting the prisoners’ demands. Finally, on April 30, it was announced that the prisoners would be granted limited association. In response to this victory, they agreed to end their hunger strike. Shortly thereafter, work began on the seventh floor of Stammheim prison to allow the association of sixteen prisoners. On May 3, Günter Sonnenberg was arrested along with RAF member Verena Becker in the German-Swiss border town of Singen. During the arrest, two cops were shot, Becker was wounded in the leg and the twenty-two-year-old Sonnenberg received a bullet in the head as he tried to flee (1) . The next attack occurred on July 30, as three RAF members, including Susanne Albrecht, came with flowers to the door of Jürgen Ponto, one of the most important businessmen in West Germany. Ponto had direct ties to many Third World governments and had served as an advisor to South Africa’s brutal apartheid regime … he was also Albrecht’s god-father. The guerilla attempted to abduct the businessman, but when he resisted they opened fire, shooting him five times. As Albrecht had been recognized by Ponto’s wife, she signed her name to the guerilla’s communiqué for this action. On August 8, the RAF prisoners who had been moved to Stammheim just a month earlier were transferred back to Hamburg. The precise excuse used was a “fight” with guards – essentially a set up whereby the guards provoked an incident and used it as an excuse to attack and beat the prisoners (3) . It appeared that Buback’s replacement Kurt Rebmann had moved to reverse his previous decision to grant “association,” the holding of political prisoners in common groups. 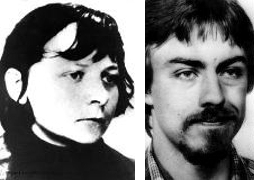 Baader, Raspe and Ensslin were once again alone on the seventh floor of Stammheim prison. In reaction to these shenanigans and to the attack on Ponto, all RAF prisoners went on hunger strike, some escalating to a thirst strike almost immediately. Defense attorneys Armin Newerla and Arndt Müller began organizing public support for the striking prisoners and so came under even heavier police surveillance. On August 15, the lawyers’ offices were firebombed (5), almost certainly with the collusion of the police who had them staked out 24 hours a day . Newerla was subsequently arrested when copies of a left-wing magazine were found in his car and was charged with “supporting a criminal organization” under Paragraph 129a. Seeing the writing on the wall, defence lawyer Klaus Croissant had already fled the country to France where he requested political asylum (6) . On September 2, following the breakdown of negotiations between Amnesty International and the Federal Government, the prisoners called off their strike. In a short statement, Jan-Carl Raspe explained that the attack on Ponto had created a situation in which the state held the prisoners as hostages and was ready and willing to kill them to set an example. As we saw in yesterday’s installment, this was more than simple rhetoric: during the preceding three years three RAF prisoners had already died in custody. The stage was being set for a decisive showdown. (1) Sonnenberg sustained extremely serious brain damage, having to relearn to speak and to walk. He suffers from epilepsy until this day. (2) Aust, Stefan The Baader Meinhof Group The Bodley Head Ltd London 1987. p. 418. (4) Von der Zwangernährung zur “Koma-Losung,” West Germany, September 1985, p. 25. (5) “Radical Lawyers Office Bombed” Oakland Tribune August 15 1977. (6) He would eventually be extradited back to Germany, where he would be imprisoned with his former clients and would himself participate in a subsequent hunger strike. (7) Frankfurter Rundschau August 15, 1977 quoted in “The Stammheim Deaths,” Cienfuegos Press Anarchist Review, No. 4.